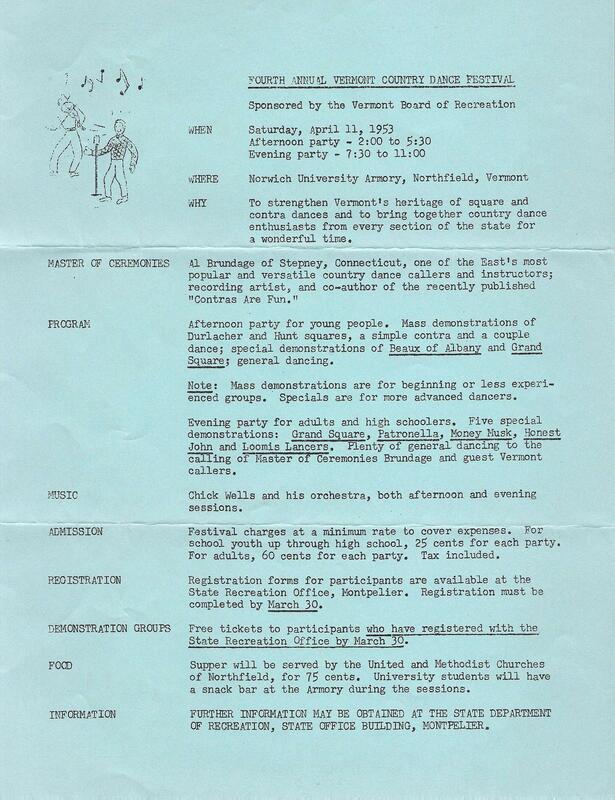 Program from a 1953 Vermont dance festival, whose avowqed purpose was "To strengthen Vermont's heritage of square and contra dances and to bring together country dance enthusiasts from every section of the state for a wonderful time." The program, which was sponsored by the State Recreation Office. As years went by, the event was attended by huge numbers of school groups. 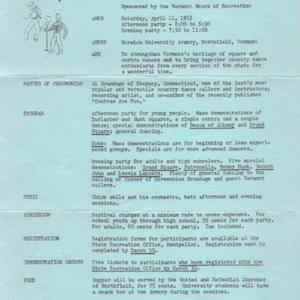 Vermont Department of Recreation, “Vermont Country Dance Festival - 1953,” Square Dance History Project, accessed April 24, 2019, http://squaredancehistory.org/items/show/1470.